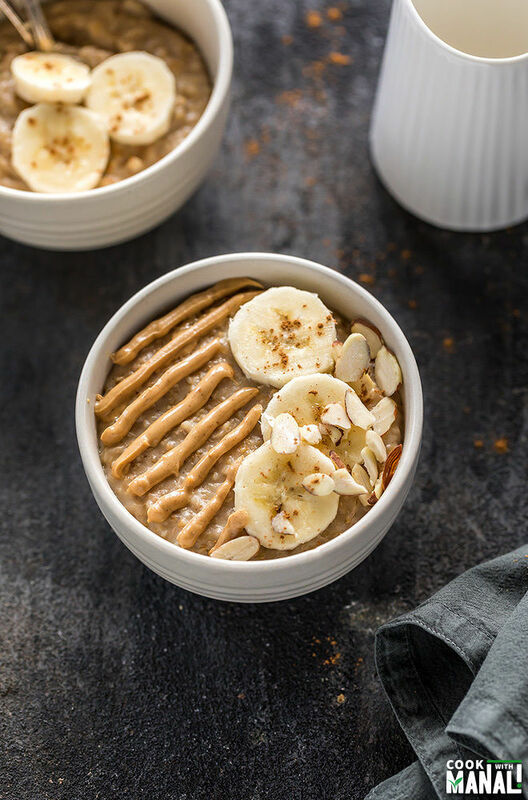 Instant Pot Banana Oatmeal – steel cut oats flavored with banana and made in the instant pot. Just what you need to start your day! Hey guys, how was the long weekend? Did you guys do a lot of shopping? I didn’t really do much but Sarvesh was online for hours! I think he is little addicted to online shopping. When my dad was here couple of months ago, he was rather surprised to see packages delivered to my house almost everyday. He was like “is this a ritual or something” lol. Anyway so yes hubby must have done lot of shopping, I chose to cook and eat – isn’t that the best? After all the feasting on Thanksgiving, I thought it would be great to share a healthy-ish recipe with you guys. I know it’s Christmas time and I should be posting some festive food (and I promise I will!) but for now let’s make peace with this Instant Pot Banana Oatmeal. This has been my favorite breakfast for last few weeks. I am someone who has always been a fan of steel cut oats. I prefer them so much over old fashioned oats but I never used to make them and that’s because I had to stand by the stove top for like 30 minutes to get it done and I simply didn’t feel like doing that in the morning. Well now with Instant pot, things get easier. Honestly, there’s no magic and it would still take time to cook in the IP but I just have to dump everything together and forget about it. And once it’s done, the IP will keep the oatmeal warm until I am ready to eat it. Now this feature I really like and that’s why I have been making this banana oatmeal almost every day for the last few weeks. ✓ is nutritious and very filling – seriously a bowl of this oatmeal and you won’t feel hungry for hours! ✓ considerably easy to make in your Instant Pot, where you just have to dump everything together. Now, I have tried steel cut oatmeal in my IP on both manual and porridge mode and I have to say, I prefer the porridge mode more. It results in a more creamy oatmeal which I love but you can also use the manual button. Oats will stick to the inner steel pot of your IP, so I always recommend spraying the bottom with a non-stick spray and then adding the water and milk and then top with the oats and not stir. This way there will be minimal sticking. You may also use a pot-in-pot method to cook the oats,I usually just go with my normal steel pot. For this banana oatmeal, we add half of a mashed banana along with steel cut oats and it gives the oats such a nice sweet flavor. Make sure the banana that you add here is ripe, the firm ones won’t impart a nice banana flavor to the oatmeal. 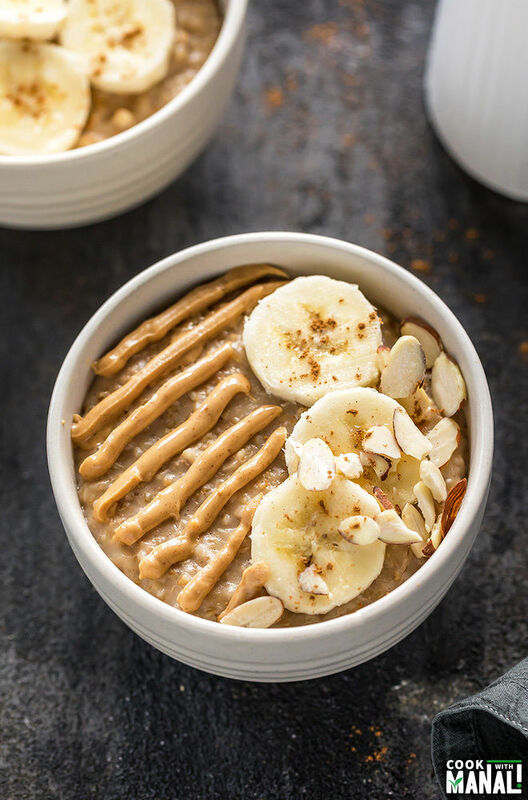 During winters, there’s nothing more comforting than starting your day with a warm bowl of oatmeal and it doesn’t get better than this Instant Pot Banana Oatmeal. Top this instant pot steel cut oats with your favorite toppings – sliced bananas, peanut butter (my favorite), walnuts, dried cranberries, sliced almonds, pecans, coconut flakes! Spray the steel pot of your Instant Pot with a non-stick spray. Add the following in this order – water, milk, steel cut oats, cinnamon powder. 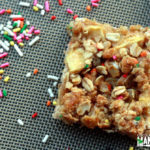 Add mashed banana on top – do not stir anything. Close the IP with its lid, make sure the valve is in sealing position. Press the “porridge” button and set the time to 15 minutes. The pre-set time for porridge mode is 20 minutes so you have to use the “-” and “+” button to lower down the time to 15 minutes. Once 15 minutes are up, you would hear a beep. Release the pressure immediately (aka do a quick release). Open the IP, and now give a good stir to the oatmeal. Add brown sugar (or sweetener of choice) and mix till well combined. Add a splash of vanilla extract and mix. Adding vanilla is optional, I love the flavor! 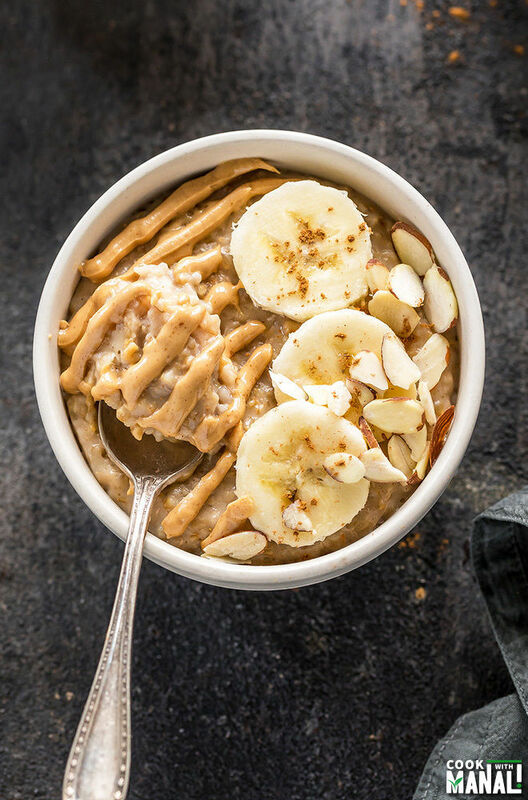 Transfer your warm banana oatmeal into serving bowls and top with sliced bananas, peanut butter, sliced almonds or any other topping of choice. Enjoy! * Use sweetener of choice – honey, maple syrup would also work well. * I prefer oats to water ratio of 1:4, you may add less liquid as per your taste and preference. 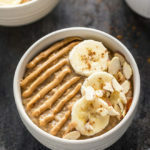 Banana Oatmeal made in the Instant Pot! A healthy way to start your day! Spray the steel pot of your Instant Pot with a non-stick spray. Add the following in this order - water, milk, steel cut oats, cinnamon powder. Add mashed banana on top - do not stir anything. Close the IP with its lid, make sure the valve is in sealing position. Press the "porridge" button and set the time to 15 minutes. The pre-set time for porridge mode is 20 minutes so you have to use the "-" and "+" button to lower down the time to 15 minutes. 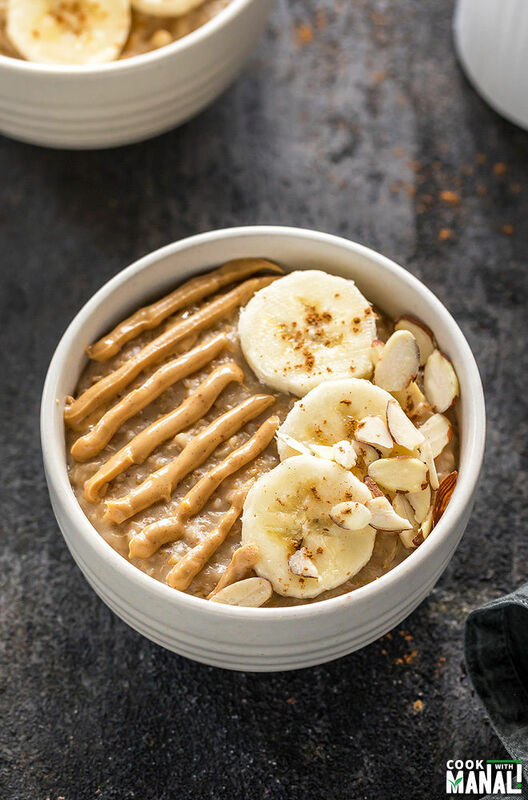 Transfer your warm banana oatmeal into serving bowls and top with sliced bananas, peanut butter, sliced almonds or any other topping of choice and enjoy! Healthy and so delicious…this would be nice to start the day! My kind of breakfast! Looks fantastic! YUM! This recipe sounds amazing! I don’t have an Instant Pot but it must be all the rage b/c food blogger after blogger comes out with IP recipes. I’m dying to get one so I can make this oatmeal!!! 1/1/2018. Happy New Year. Made this morning. YUMMY! Thanks for sharing. ? Happy new year Paula! Glad you liked the recipe! Confession- I love my instapot more than I love most people. Is that weird? I mean, just look at this deliciousness it can create! Love this quick breakfast fix. Above: can you double amount? 2 cup water, 2 cup milk, 1 cup steel cut oats 1/2 teaspoon cinnamon powder and 1 full size banana? I normally eat 100g steel cut oats and 500ml milk for stove cooking. Then add in 1 full mashed banana in end. How much time in IP if doubling the recipe? 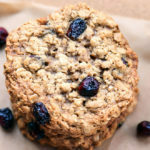 Can this be made with rolled oats instead of steel cut oats? rolled oats would not need this much time,probably try 5 minutes then! I love PB and banana and don’t know why I never thought to put them together with oatmeal, Had it this morning and it’s now my fav. Thanks for sharing! Just tried this recipe! Big hit. Super easy and quick. Thanks!! I comment earlier in March about double recipe. Got instant pot last week and tried this porridge today. Quick pressure release didn’t work out too well cos come out valve. Had to sauté bit after thicken up bit so next time (next week) will leave 10 mins natural release before release rest of pressure and hope that work better for me. Other than that it was very nice. Best one eaten so far. I didn’t like water only porridge (tried that last week). Prefer milk in it. 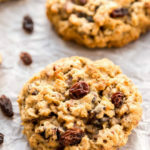 I’ve tried making oats 3 different times and they always burned, but this recipe worked! I’ve decided i don’t like steel cut oats, but if i have to eat them, this is the recipe I’ll use from now on. Thank you for the opportunity to try! That is so strange! I make this oatmeal every week at least 3 to 4 times! and I have never got a burn message! And I make it with milk every week so I don’t think milk is not good to cook with IP, its absolutely fine. Not sure what went wrong. 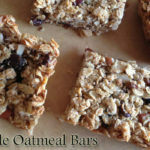 I’ve tried a couple of oats recipe in my IP but this is by far my favorite. I had some overripe bananas and I thought it would taste great in an IP oatmeal so I googled banana instant pot oatmeal and found your recipe… I’m also WFPB so imagine my surprise to find vegan friendly recipes on your site! Will definitely book mark your site, I saw the IP vegan cheese and I’m thinking that will be a nice recipe to try next! Thank you! You are welcome Lea, I am glad you liked! This is my favorite oatmeal too,I make it every week! 🙂 Hope you get a chance to try other recipes as well!